Samsung on Thursday at its Galaxy Unpacked 2015 event launched the new Galaxy Note 5 and Galaxy S6 Edge+ smartphones. The company alongside the new products also launched several accessories for both the handsets including Clear View Cover, wireless charger, Level headphones, Battery packs, and the new Keyboard Covers. The all new BlackBerry-like Keyboard Cover will be available next month and will come at $80 (approximately Rs. 5,200). The move to launch a physical keyboard as an accessory for its new premium phones is an attempt by Samsung to tap consumers who still prefer physical Qwerty keyboards over touchscreens. The new Keyboard Cover will be compatible with both the new Samsung Galaxy Note 5 and Samsung Galaxy S6 Edge+ smartphones. It will be available in Black, Gold, and Silver colours. 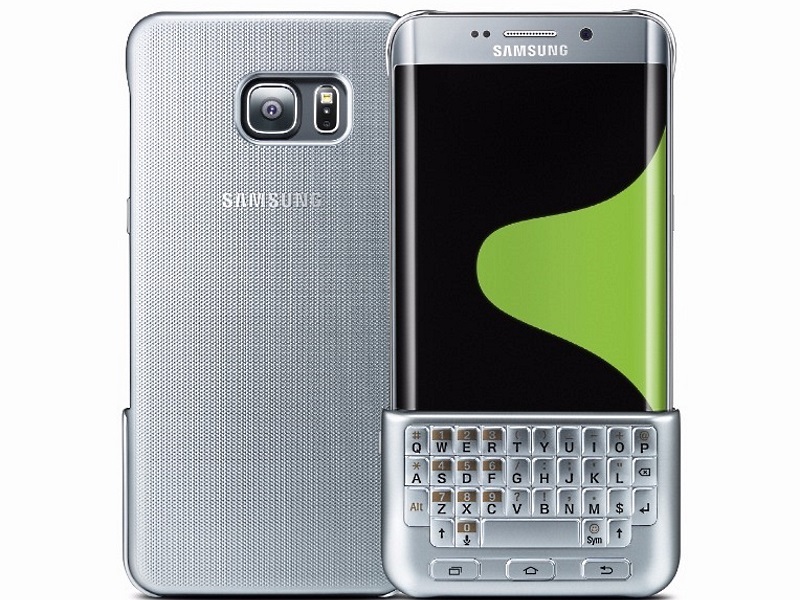 The Keyboard Cover attaches to the handsets at the lower half and offers physical keyboards just below the screen. Once attached, the smartphone detects the Keyboard Cover automatically and adapts to the accessory. One of the concerns with the usage of Keyboard Cover is it marginally elongates the size of the device, which already boasts a 5.7-inch screen. Notably, the new Keyboard Cover use capacitive technology and doesn’t require Bluetooth or battery power. Samsung at the launch confirmed that the Galaxy Note 5 will be made available in select markets, while the Galaxy S6 Edge+ will feature wider availability. The smartphones will be available for pre-orders for in the US from Thursday, and the smartphones will be made available from August 21. In the US, the Galaxy Note 5 will be available via AT&T (with a no commitment contract) at $739.99 (roughly Rs. 48,400) for the 32GB variant, and $839.99 (roughly Rs. 54,800) for the 64GB variant, while the Galaxy S6 Edge+ will be priced at $814.99 (roughly Rs. 53,300) and $914.99 (roughly Rs. 59,800) for the 32GB and 64GB variants respectively.